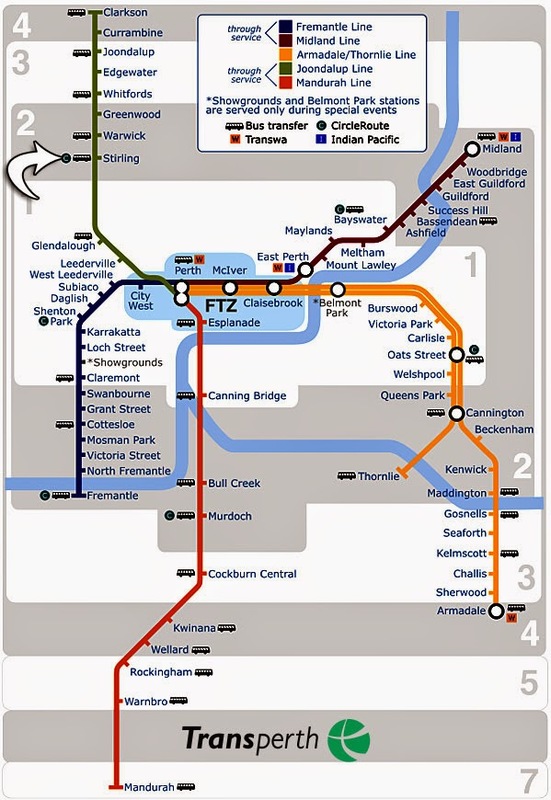 Hundreds of commuters pushed a train to free a passenger who became trapped between the platform and the carriage at a station in Perth, Australia, Wednesday morning. The entire scene was caught on video, which shows the station's safety personnel informing the train's driver not to move the train. Scores of passengers, together with staff, manage to tilt the car (on its suspension) enough to allow the man to free his leg which was wedged in the gap. The Australian man whose leg was trapped said he was "amazed" when he saw his story on the news and realized how many strangers came to his rescue. Dozens of fellow commuters lifted the 28-ton car to free the man, whose leg was stuck in the gap between the train and the platform. 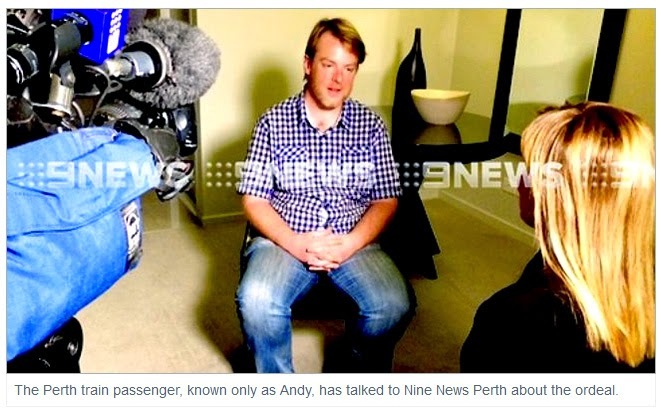 "My left leg missed the train and fell down the platform, right down past my knee, up to my thigh," said Andy, who declined to provide his last name to 9News in Australia. "I just got caught up in the rush," he said. 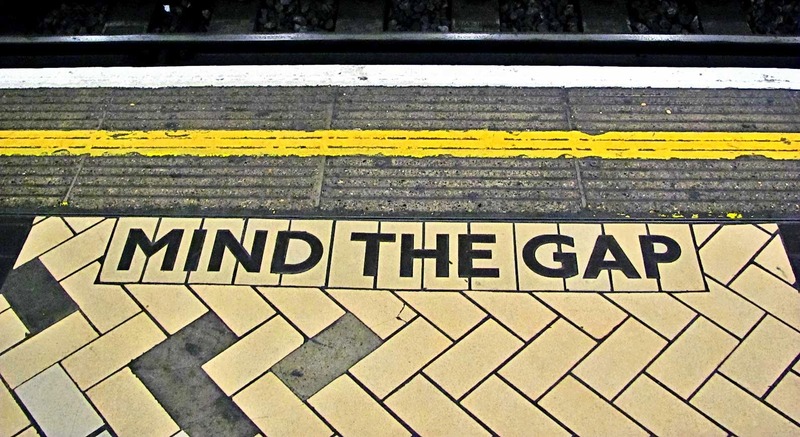 "Somehow, getting on the train, stepped through the gap instead of on to the train. "I didn't realize how many people were witnessing this situation until I saw the footage later on the news," he said. "I was amazed. I had no idea it was that big of an incident, that it took that many people to free me." 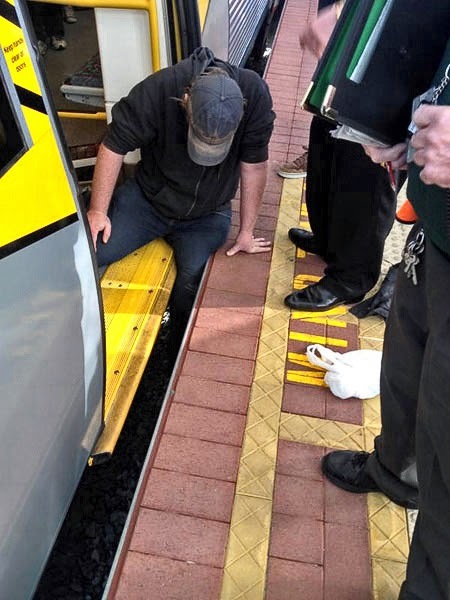 Public Transport Authority spokesman David Hynes said the man was attempting to board the train at Stirling Station when a misstep caused one of his legs to slip down and lodge in the gap between the train and the platform. Mr Hynes said passengers were then asked to stand on the other side of the carriage to try and push the weight off the man's leg however it was not enough to free him. 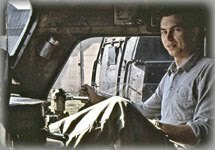 "When that didn't work, they got people off and gathered together enough of them to line up, 50 or so, and say 'one, two, three, push'," he said. Car appears to be one the of 66 narrow gauge "B-Series" cars, run in three car consists. 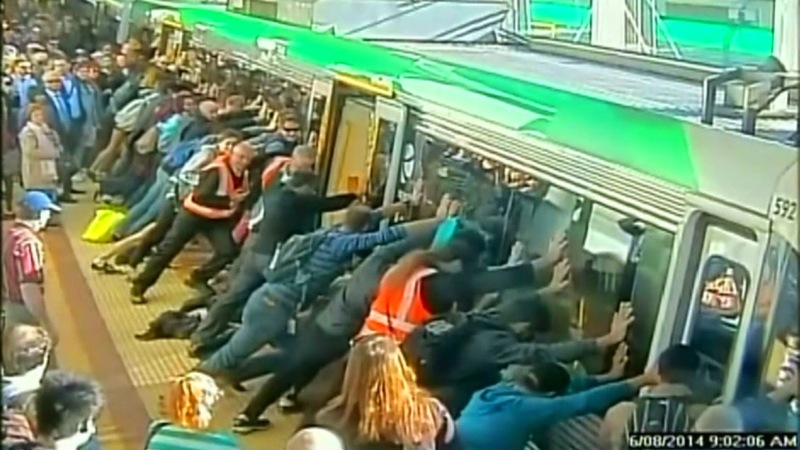 This incident isn't the first time commuters have banded together to free a fellow passenger. 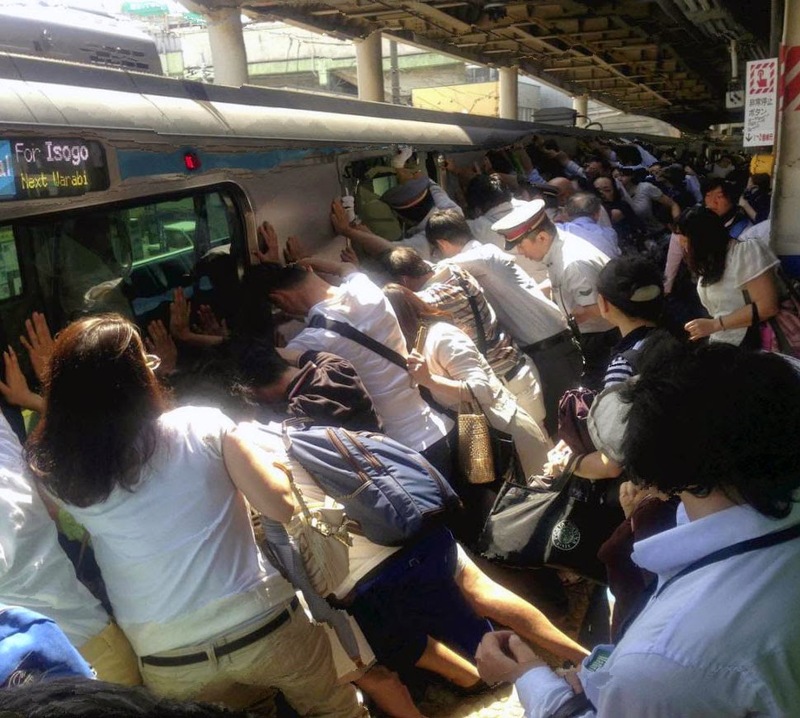 Last month (July), commuters at a station in Tokyo managed to push (again, tilt on its suspension) a 30,000 kg (33 ton) car off a woman after she fell down the gap between it and the platform. 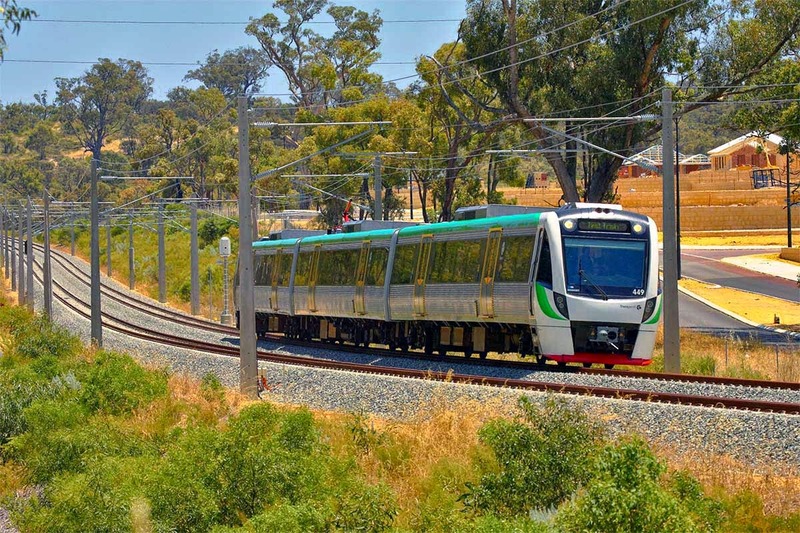 The woman was not seriously injured and the train continued its journey just eight minutes later.